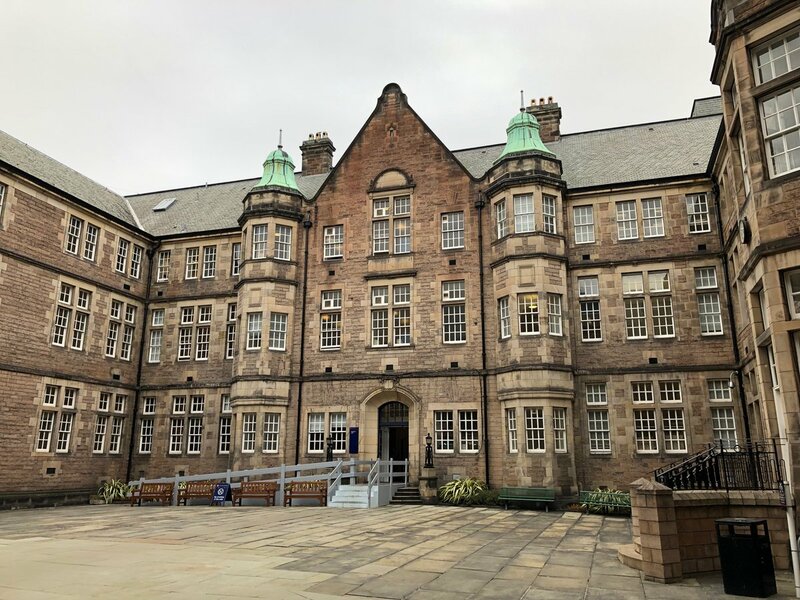 On 27th March the Scholarly Communications Team at the University of Edinburgh were delighted to host the 6th regular meeting of the Open Access Scotland Group at the impressive Paterson’s Land building (pictured above). The Group aims to provide a voice for open access in Scotland, allow the sharing of best practice, facilitate opportunities for networking between stakeholders, and lobby on behalf of Scottish organisations. It is an open group and comprises members from Scottish HE institutions and other allied organisations, like academic publishers, software vendors, local and national government agencies and research funders. The group also has honorary members from Iceland and Northern Ireland. The event on 27th March was attended by 40 people representing over 20 organisations. 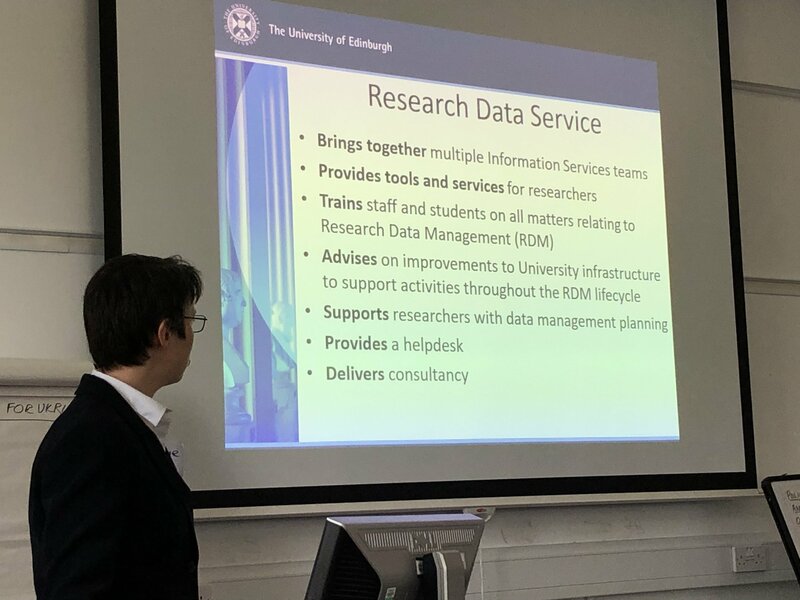 The first speaker was Pauline Ward who gave a well received talk on Open Science Approaches – including the fantastic Research Data Service at the University of Edinburgh. During the main session we had a facilitated discussion around issues such as the use of research notebooks, how to do open access for Practise-led Research, and updates on Plan S, UK-SCL and Jisc Support. If you are interested in Open Access and are based in Scotland then I would heartily recommend joining up to the Open Access Scotland Group. The next meeting is pencilled in for September and will probably be hosted by the University of the Highlands and Islands in Inverness. Hope to see you there! 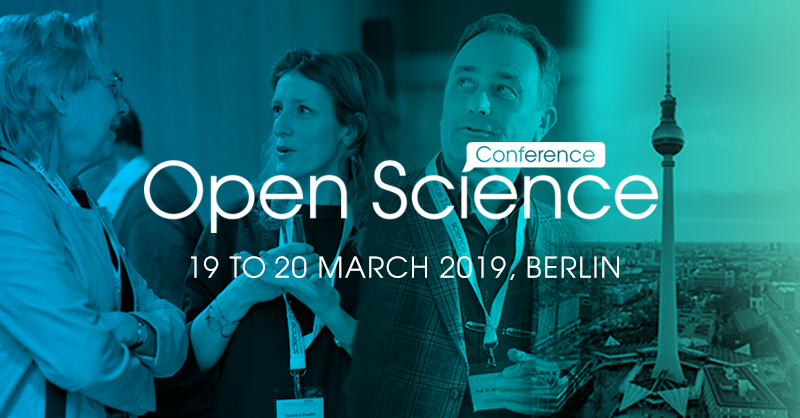 This week, I attended the International Open Science Conference in Berlin. I attended this event last year, and found it so inspiring, I was keen to attend again this year. Open Science, or Open Research, as we tend to refer to it here in Edinburgh is an important development which will fundamentally change the way researchers and those who support them will work over the coming years. We are in the process of adopting the LERU Roadmap on Open Science and are working with colleagues across the University with the aim of implementing as many of its 41 recommendations as possible. I need to get to grips with the European Open Science Cloud. It’s such a major intiative and I need to get to grips with what it is, how it works, and how it applies in the Edinburgh context (in an increasingly likely post-Brexit world). I’m very keen to work more closely with our Research Support Office to see what more we can do to ‘hack’ research proposals before they are submitted to make them more open right from the opurset. Thanks to Ivo Grigorov’s FOSTER Open Science CLINIQUE for the inspiration! So, from my reams and reams of notes, those are my three key action points to take forward within the University of Edinburgh. It was really great to hear Eva Mendez re-stress the importance of seeing the transition to open science as a process of manged, complex, cultural change. I think that is something I and my colleagues already understand very well, but it’s good to have this re-affirmed! 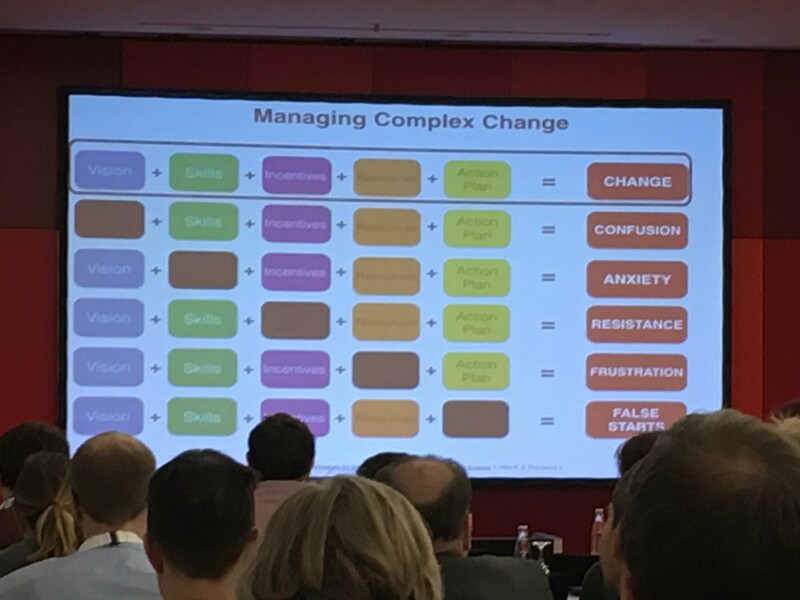 It was also useful to think about how we need a complete picture of vision, skills, incentives, resources and action plans to avoid confusion, anxiety, resistance, frustration and false starts. Whilst the benefits for repository owners are obvious – e.g. 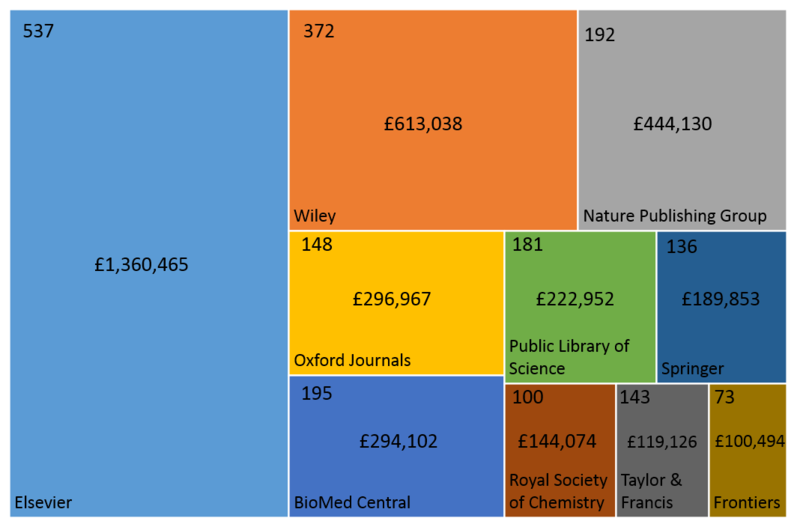 massively increasing the visibility of your open access content – not many repositories are actually doing this. At the time of writing, in the UK there are only 4 other repositories in the LinkOut programme: University of Strathclyde, Imperial College London, the White Rose consortium & the London School of Hygiene & Tropical Medicine. Currently there are no other institutions that use Pure so I thought I would investigate and create some instructions. This blog post will help Pure administrators find URLs to full‐text open access items that have a PMID, but not a PMCID which can be used to send to NCBI. Step 1: find Pure records that have a PMID, and also have open access full-text. This report will pull all records from Pure that have been imported from PubMed, and will show the Pure ID/DOI/PMID/UUID and OA embargo date. The UUID will be used to generate a stable URL to the item page in the portal. Export the report as an Excel spreadsheet. 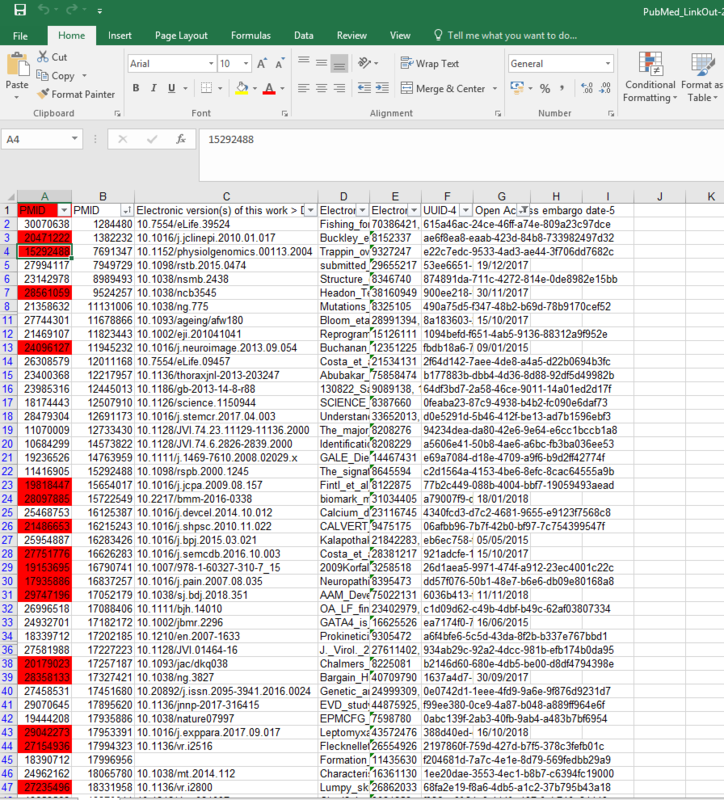 Cut/paste PMIDs into the box, select CSV result format and convert 100 records at a time. Any more will likely to produce an error. Ignoring the results with PMCIDs, cut/paste the remaining PMIDs (Identifier not found in PMC) into a new column in the Pure report spreadsheet. Step 3: Identify the Pure records which can be included in PubMed LinkOut. So far we have a list of records in Pure that have a PMID (which may or may not have PMCIDs), and a list of PMIDs that have been checked to make sure they don’t have PMC IDs. What we need to do now is merge the data. There are a number of different ways to do this in Excel, but I chose to use the conditional formatting function to highlight duplicate PMIDs in Pure that are on the ‘not in PMC list’ we created. Filtering by colour will then give you a list of records which can be included in the PubMed LinkOut programme. I chose to remove the items which are currently under an embargo which can be identified from the Open Access embargo date, and removed using a filter. Every week is open access week at the University of Edinburgh. From April 2016 – June 2018 the University of Edinburgh has made 11,793 research outputs open access. This represents 89% of the research published that could be submitted to the REF2020 exercise. 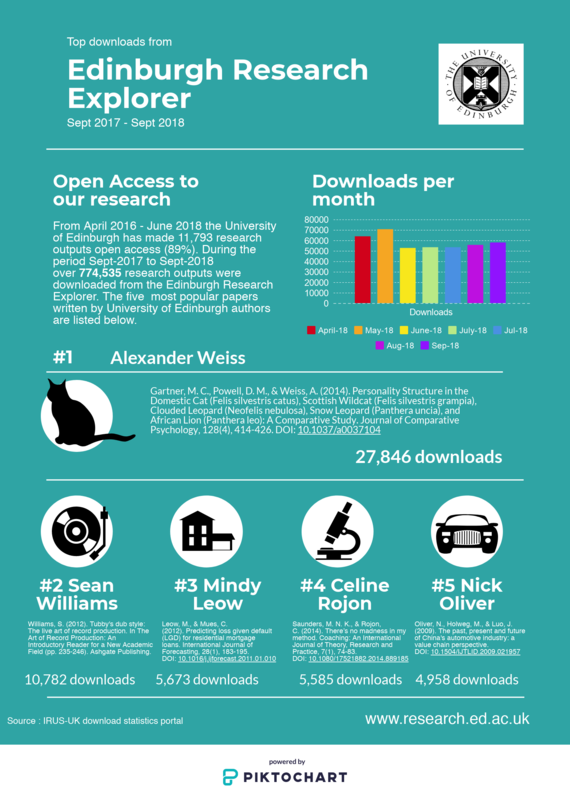 During the period Sept-2017 to Sept-2018 over 774,535 research outputs were downloaded from the Edinburgh Research Explorer. This equates to nearly 65,000 downloads per month. This month our copyright expert Eugen attended a one day conference in Brussels to keep up to date with the latest developments in Intellectual Property law. “EU copyright, quo vadis? From the EU copyright package to the challenges of Artificial Intelligence” was a one-day conference held at Université Saint-Louis in Brussels on 25th May 2018. It was organised by the European Copyright Society, which is a platform for critical and independent scholarly thinking on European Copyright Law and policy. There were over 100 participants from almost every European country and almost every area where Intellectual Property has an important contribution: many academics and researchers, practitioners from law firms such as Allen & Overy, consultants from Deloitte, media companies such as Channel 4 Television, ARD or Google, collective societies as ZAiKS Poland and from law courts such as the Ghent Court of Appeal. The morning session was focused on the ongoing reform of the EU Copyright, the directive proposal that will be debated in the EU Parliament on 21 June 2018. There were presentations (text & data mining, education & libraries, the newly created right for press publishers) by academics highlighting the improvements brought by this proposal and its numerous shortcomings followed by interesting debates between the audience and a group of officials from the European Commission (Copyright Unit I.2, DG CNECT) invited to explain their vision and defend their point of view. Despite this, the general opinion in the room was that the copyright landscape will be polarised between rights-holders, who’s position will be greatly strengthened and enhanced, and a strictly regulated ‘small island of free access’ limited to libraries and universities and not much in between. Some participants were so critical of this proposed directive that they label it as ‘not fit for purpose’. In the afternoon, the speakers discussed about the looming challenges that Artificial Intelligence (AI) poses to various key notions of copyright therefore the debates were both dry and technical. One particularly interesting debate was about the (proposed) ownership of copyright in machine generated data. Some participants commented that from the point of view of the European car-manufacturers this will balance out the GDPR (which prevents them to use data generated by increasingly sophisticated automobiles) while also preventing overseas competitors to use this data when designing autonomous cars. There was also a book launch – P.B. Hugenholtz (ed. ), Copyright Reconstructed, 2018 (with contributions of five members of the European Copyright Society). It was extremely interesting to hear the strengths and weaknesses of the forthcoming EU copyright directive and to have a fairly clear idea of what is to come. The conference being organised in Brussels (this year) ensured a wide participation which vigorously (and belatedly) tested the EU officials. It will definitely help if academics and organisations like European Copyright Society, as a part of the civil society, will be more involved in the EU legislative process. Over the last few months Library Research Support has received a number of international visitors, from places like the University of Helsinki, University of Amsterdam, and the Czech Academy of Sciences Library, who have all come to visit and learn how our Library supports it’s researchers in open access publishing, digitisation, and research information and data management. We recently decided to reverse this trend and go visit somewhere to gain insights into how other institutions tackle similar problems that we face. 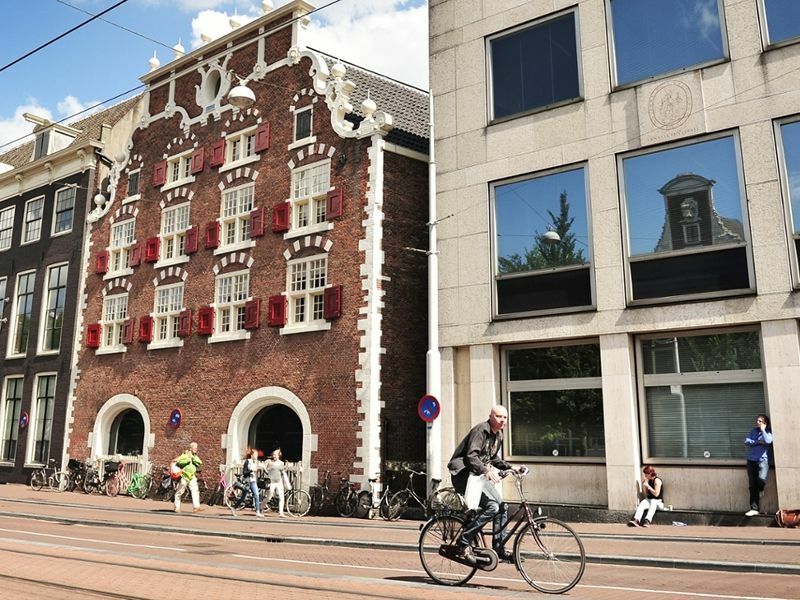 The University of Amsterdam was chosen because they are a comparator institution, with a similar profile and size as the University of Edinburgh. The trip was funded by funding from a successful bid to the Erasmus+ mobility programme. 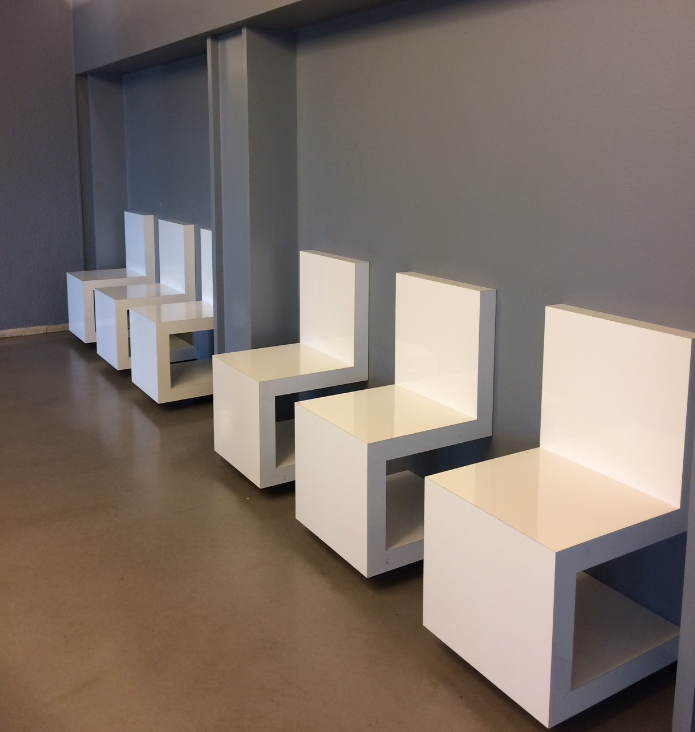 On the 8th March 2018 the Scholarly Communications Team visited the University of Amsterdam Central University Library. Over the course of two days we learnt about the services UvA offer to support open access publication, copyright support, research data management and bibliometrics. The visit was finished with a tour of the Central University Library which is based in the centre of the Amsterdam right next to the Singel canal. The Central Library actually consists of three buildings, all of different sizes and ages, merged together which presents a quite a few challenges – particularly for accessibility and continuity of services. The current library site has a rich history beginning in the 1880s when the library moved in to the Handboogdoelen building (furthest left in the picture above), which was a former home of long-bow militia and incorporated a shooting range. The building next door (central building in the pic above), with a façade from 1600s, used to be a former royal stables (you can see the two large doorways for horses) and was added to the Library complex in the 1940s. Finally, the main building (building on the far right in the pic above) was built in a vacant plot alongside in the 1960s. The buildings are linked together, with short staircases used to account for the different levels of the buildings internally.There is a plan to move the Central Library to a purpose built building in 2020. The Library has a unique contemporary style which tries to live up to Amsterdam’s reputation as being on-trend, forward thinking and liberal. It was redesigned by Amsterdam-based designers Roelof Mulder and Iro Koers who went for a minimalistic design moving away from the traditional stereotype of a library. 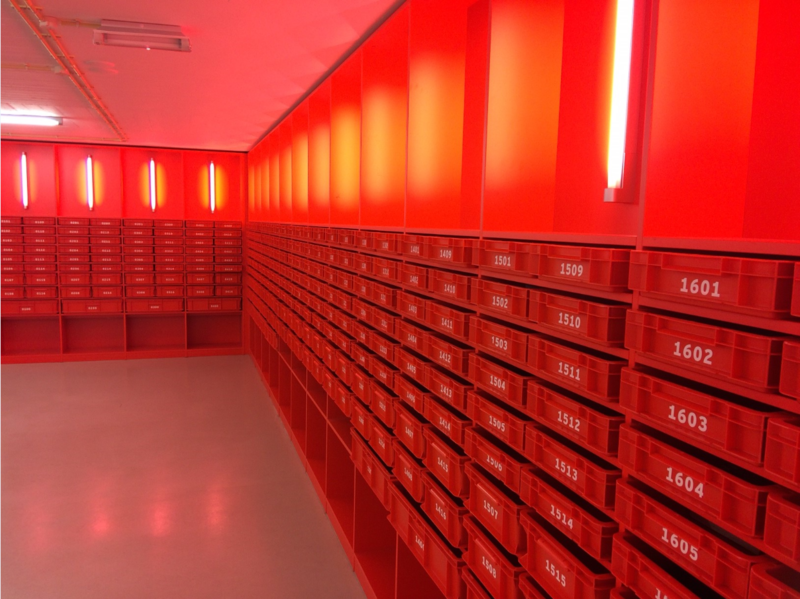 An example of this is the Red Room (see first picture above), which provides a self-service pick-up point for closed stack materials. 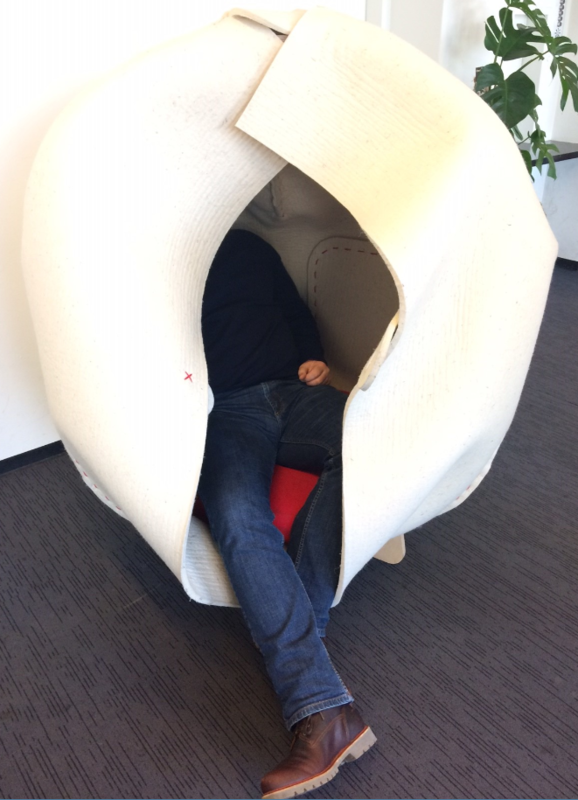 The Library also had many interesting small quirky features, like free-to-use massage chairs, relaxation pods, phone booth cubicles and standing tables. The Library will also be participating in a scientific study to assess the impact of plants used in interior decor to affect the mood and learning capabilities of students. One suite of rooms will be filled with plants, with another devoid of vegetation used for a control group. I really liked the idea of the library building being used as a natural laboratory space to test scientific hypotheses. The visit has forged friendships between the two institutions which we hope to build upon in the future. We have come home from the trip with a whole new range of ideas to improve the services we currently deliver, but we also have a greater appreciation of our shared cultural similarities and differences. Research funders want to maximize their investment and – by holding the purse-strings – are the change instigators accelerating the pace of adoption of open access. Some are more proactive than others pushing scholarly communication towards Gold OA in certain subject disciplines, whilst other funders are less active preferring change to be more organic. Libraries are change agents who can help to enable open access in institutions, for example through implementing repository platforms and offering support services and expertise. Their motivations to be involved are many; Library core values are well-aligned with open scholarship, they have a strong interest in and are well-placed to ensure institutional funds are efficiently allocated, and there is a drive to enhance their relevance through redefining roles within research institutions. Academics. It is easily to fall in to the trap that academics are passive actors in all of this. It feels like the silent majority go along with the status quo as research is their prime concern, and scholarly communication is a side-show with which they have little interest in how it works. Because publishing is increasingly being outsourced they lack a sense of agency or ownership. However, some researchers are driven to innovate and change their scholarly communication practices. The interaction of each of these players in the scholarly communication game has led to the development of a system driven by interlocking policies, platforms and processes, which we have shown over the course of the last few blog posts, is unnecessarily complex, expensive, inefficient and increasingly at risk of being not fit for purpose. What steps should libraries be doing to improve scholarly communication? The problem with Green OA is – it’s not immediate (journals embargoes are far too long), it’s not compliant with all funders policies and it’s unnecessary complexity (checking and matching funders policies and journal embargoes) is inefficient and has many hidden costs. Hybrid OA Gold is the most popular and expensive route for paid open access. A side effect of lowering embargoes is that authors can comply with their research funders open access policies via Green OA. Academic and National Libraries should support academic-led publishing and open access initiatives that are inclusive and open to scholars who do not have budgets for publishing.